A Rich History Resides at Inn of the Turquoise Bear! 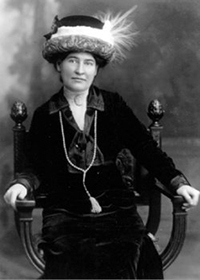 The Inn of the Turquoise Bear occupies the home of Witter Bynner (1881-1968), who for almost 50 years was a prominent citizen of Santa Fe, actively participating in the cultural, artistic, and political life of the city. Noted as a poet, translator and essayist, Bynner was a staunch advocate of human rights, especially of Native Americans, women, and other minorities. Bynner created his rambling adobe villa, constructed in Spanish-Pueblo Revival style, from a core of rooms that date to the early 1800’s. 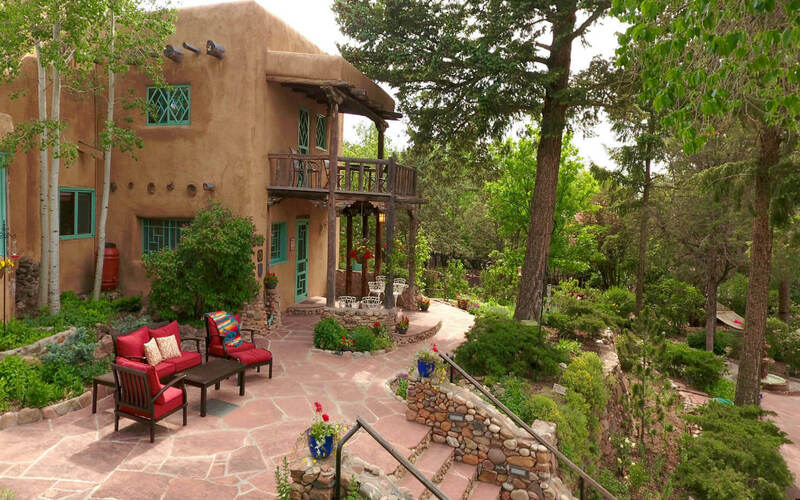 It is now considered one of Santa Fe’s most important historical estates. 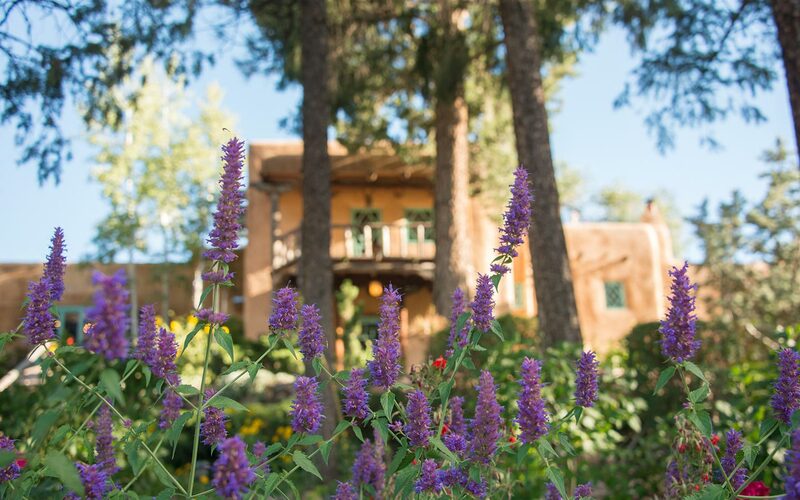 With its signature portico, towering pine trees, magnificent rock terraces, and lush gardens filled with lilacs, wild roses, and other flowers, the Inn offers guests a bucolic retreat close to the center of Santa Fe. 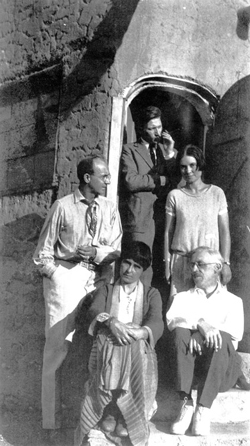 Bynner and Robert Hunt, his companion of almost 40 years, were famous – or infamous – for the riotous parties they hosted in this estate, referred to by Ansel Adams as ‘Bynner’s bashes.’ Their home was regarded as the center for the gathering of the creative and fun loving elite of Santa Fe and visitors from New York and around the world. 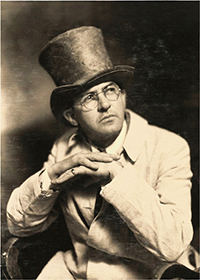 The celebrity guest list of Bynner included D.H. Lawrence (who spent his first night in an American home in this villa), Willa Cather, Ansel Adams, Igor Stravinsky, Edna St. Vincent Millay, Robert Frost, W.H. 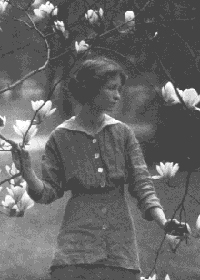 Auden, Stephen Spender, Aldous Huxley, Clara Bow, Errol Flynn, Rita Hayworth, Lynn Riggs, Christopher Isherwood, Carl Van Vechten, Martha Graham, Robert Oppenheimer, Georgia O’Keeffe, Mary Austin, Willard Nash, Thornton Wilder, J.B. Priestly – and many others. Upon Witter’s death, he willed the estate to St. John’s College in Santa Fe who used the estate as a residence hall for a number of years. In September, 2014 the estate was once again filled with “Johnnies” celebrating their 35th reunion at “Witter Bynner” a place they once called home. 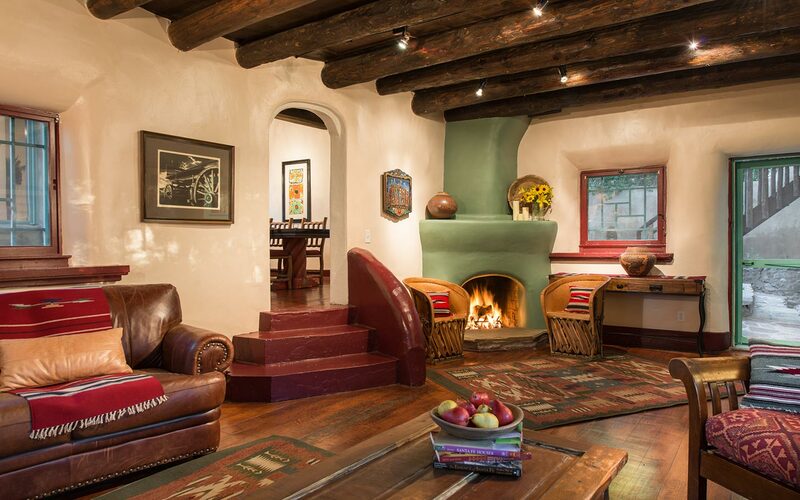 In 1996, Ralph Bolton & Robert Frost, purchased the estate and created a wonderful Santa Fe bed and breakfast. They faithfully restored this magnificent property which is now on the National Register of Historic Places. As such, the estate has not been altered in any significant way retaining its authentic Northern New Mexico charm. One can still see scant reminders of the Chinese decoration that Witter used to distinguish it. In April, 2014 Dan Clark & David Solem acquired the Inn. Our goals – as innkeepers and as stewards of the estate and land that Bynner loved – are to rekindle the comfort, creativity and hospitality for which this home was renowned in the past, to protect, restore and extend the legacy of its famous creator, and to provide our guests with a unique, restorative experience that captures the essence of Santa Fe’s past and present. 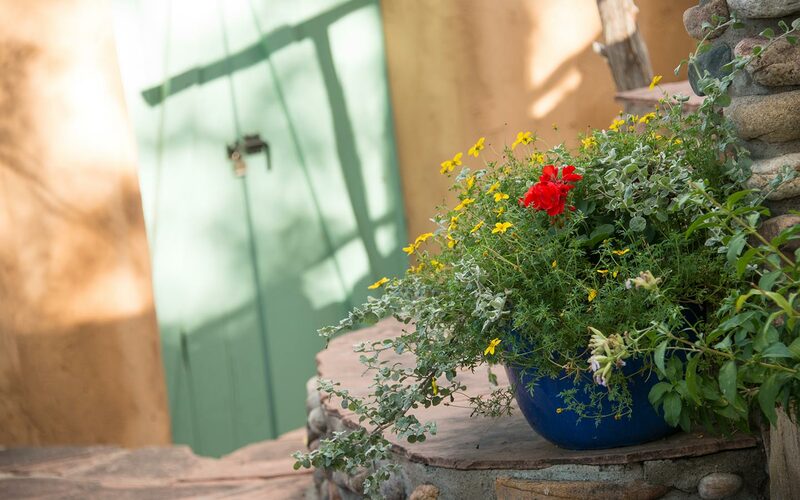 We look forward to the privilege of serving as your hosts during your visit to Santa Fe.